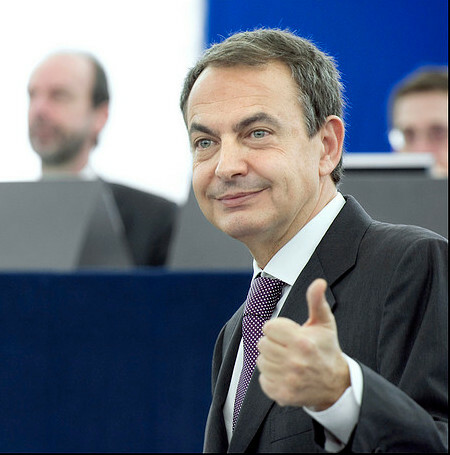 The announcement of the EU Spanish presidency of an EU Electric Car Plan dominated the news in the first few days of the newly appointed EU Commission. The EHA teamed up with the Industry Grouping and Fuel Cell Europe and sent a joint letter to the Member State representatives, in time for the Electric Car Plan announcement on February 9 in Seville, to highlight the role of fuel cell vehicles and hydrogen as important components of electric transport and the decarbonisation of transport in the EU by 2050. The reaction of Members States to the Spanish proposal was encouraging in that most countries indicated that more green car technologies than just batteries needed to be included, pointing to also hydrogen, hybrides and biofuels. Industry Commissioner Tajani ten days later at an informal meeting of automotive specialists of the Member States on February 19 announced the development of an EU Strategy for Clean and Energy Efficient Cars before the Competitiveness Council of May 25-26. The EHA in its contribution to the EU 2020 strategy, that the Commission recently published, emphasised the need to consider the efficient use of primary energy in developing the right innovative industrial strategies including for transport to facilitate a rapid uptake of sustainable growth and employment. The EHA is currently preparing its contribution to the consultation on the Clean and Energy Efficient Car Strategy. 16 February, 2011McPhy Energy has announced that the company has signed a contract with the Enel Group, Italy for the supply of a solid hydrogen storage solution. The system has a capacity of 2 kilograms of solid hydrogen, stored in the form of magnesium hydrides (which do not require compression), offering an innovative solution for safe, reversible hydrogen storage, with energy efficiency. A prototype of the system design was validated through a series of tests at the CEA-LITEN (the French national Laboratory of Innovation for New Energy Technologies and Nanomaterials in Grenoble, France). The test tank was coupled to an electrolyser and to a fuel cell, successfully demonstrating the storage of renewable energy. 17 February, 2010Solvay announces today it will invest over EUR 5 million in the construction of a test fuel cell with a total electric power of 1 megawatt (MW) at the SolVin plant in Lillo, Antwerp, Belgium. The investment is part of the Project Hydrogen Region Flanders – South Netherlands. The fuel cell will convert hydrogen produced by electrolysis at SolVin’s plant into electricity and by doing so increase the energy efficiency of the electrolysis. This Proton Exchange Membrane (PEM) fuel cell will demonstrate fuel cell technology can be scaled-up to a peak output of 1.7 MW and a generation of 1 MW at steady rate, by using Solvay’s innovative special polymers and SolviCore’s membrane electrode assemblies. The test fuel cell will also be used by WaterstofNet vzw for research and test programs to support and promote the development of the use of hydrogen in the region. or indirectly the implementation of a Hydrogen based Economy. 11 February, 2010Air Products has been awarded the prestigious Rushlight Hydrogen and Fuel Cell Industry Award for its innovative Series 100 Hydrogen Fueling Station technology. The technology, which is helping break down barriers to the development of the hydrogen economy, clearly fit the Award’s aims of promoting and celebrating leading environmental technologies in the United Kingdom (UK) and Ireland. The Air Products Series 100 Hydrogen Fueling Station has been an important enabler in changing industry and consumer perception in the UK as to the validity and safety of hydrogen as a clean energy carrier. The Rushlight Award acknowledges the success of this fully integrated fueling station in meeting the needs of hydrogen fueling test and demonstration programs. The Series 100’s features include simple operation for hydrogen compression, storage and dispensing, a small footprint, quick installation and ease of relocation. Details on Air Products’ hydrogen fueling station technologies are provided at the Air Products website.